Cindy Wood offers unparalleled service to ALL clients in the Salt Lake City Utah real estate market. After your dream wedding, let us help you find your dream home. Get A FREE Brochure from "Cindy Wood Realty"
Once the wedding is over, you may want to consider purchasing a home. Cindy Wood Reality offers unparalleled service to ALL clients in the Salt Lake City Utah real estate market. Your complete satisfaction with our service and representation is our number one priority. 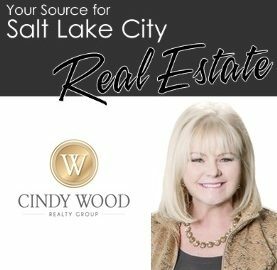 Cindy Wood serves the entire Salt Lake City Utah real estate market including the surrounding communities such as Sandy, Draper, Murray, South Jordan, West Jordan, Sugar House, Holladay, West Valley and beyond. If you are a first time home buyer, you will want to take advantage of the FREE Home Buyer reports. They will save you time, money and headaches! Each report offers a unique insight into the buying experience. Visit our website and download these reports today! If you know exactly what you are looking for in a home, the HomeSearchSaltLakeCity.com is a FREE service to help you find your dream home. Your first email will list all homes currently for sale that meet your search criteria. Then each morning you will be emailed a list of all of the new homes for sale and price changes since your previous search. No more having to rely on manual searches. Go to www.HomeSearchSaltLakeCity.com, fill out the form and start your auto-email home search today! It’s just that easy! Please mention Salt Lake Bride when you contact Cindy Wood Reality! Straight forward; knowledgeable about home and neighborhood. Extremely helpful in buying our first home! Cindy, Cameron and their staff were extremely helpful in buying our first home. Since we were new to Utah, we relied heavily on their knowledge of the area.